As evidenced by the popularity of brands like Pokémon and Digimon, the only thing cooler than a monster… is a pet monster. The Yo-kai Watch franchise revolves around supernatural creatures known as Yo-kai, and the Yo-kai Watch device that summons the creatures you’ve befriended. They can then fight for you, or help you with other tasks. Such a delightful concept lends itself well to roleplay. Hasbro is aware of this, and we can thank them for the high quality Yo-kai Watch toys they’ve been producing. 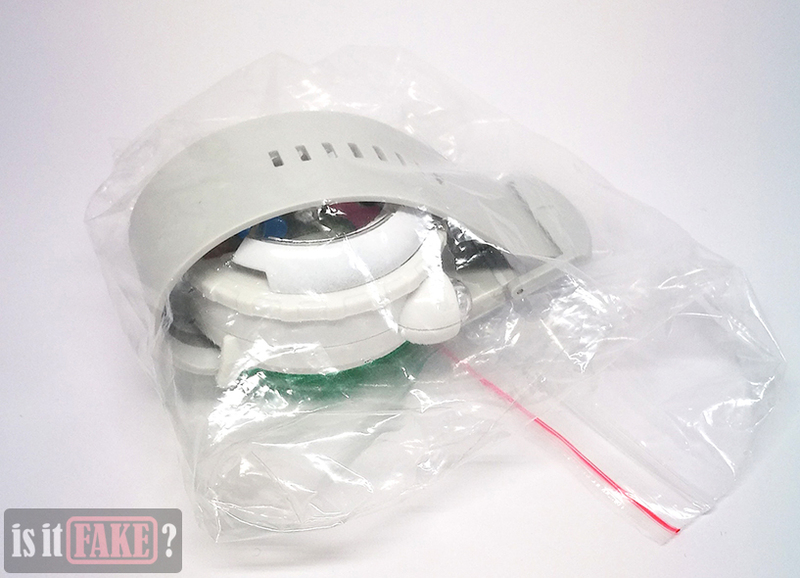 Unfortunately, bootleggers want in on the fun, as well, and they’ve made their own Yo-Kai Watch toy lines – all illegally produced and inferior in every way, of course, as you’ll see in today’s article. Chinese online marketplaces such as AliExpress are brimming with toys. Unfortunately, the vast majority of these are unlicensed bootlegs. Some are specifically designed to look like the official product as much as possible. There’s no hiding the signs of fakery from the keen of eye, however. The fake Yo-kai Watch’s page identifies its manufacturer as AIBOULLY – a name you’ll only ever find associated with AliExpress and other stores notorious for fakes. That in itself should already set your alarm bells ringing. 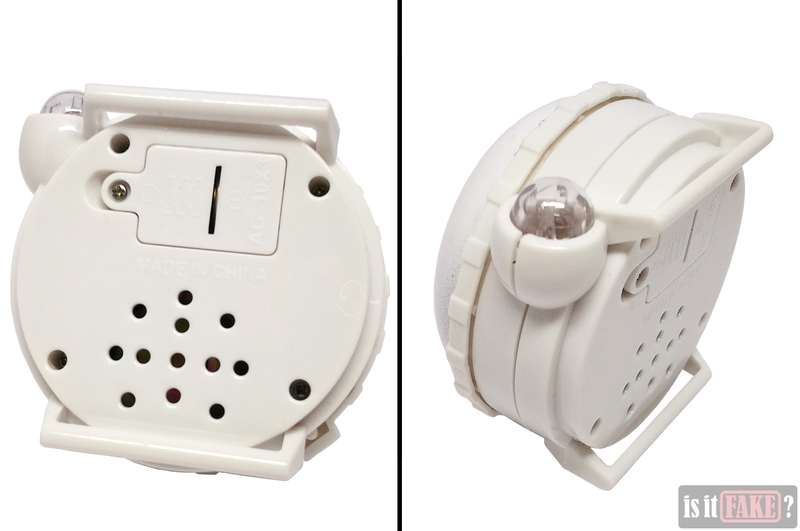 The fake Yo-kai Watch toy comes packaged in bubblewrap and transparent plastic. 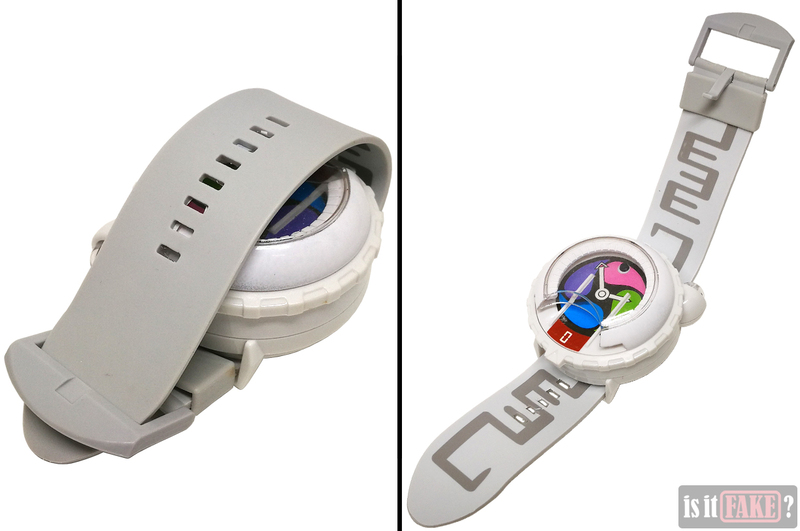 The first thing we noticed about the fake Yo-kai Watch is how its strap is a shade darker than its main body. As a result the strap looks old and cheap, as if it’s been left out in the sun for too long. The keeper and buckle are even darker than the strap, so much so that they’re almost grey. 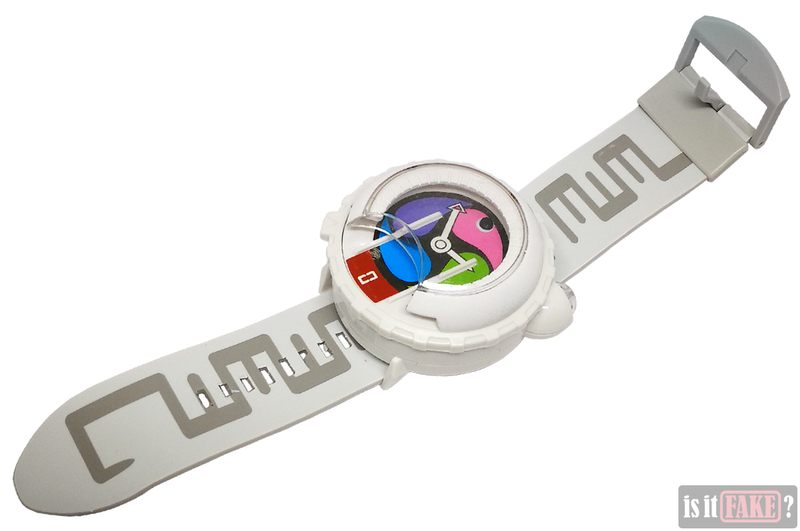 The white main body, dirty white strap, and greyish keeper and buckle make for an unsightly combination. The main body is made of plastic which feels light and thin – the kind that can crack easily if it falls to the ground. 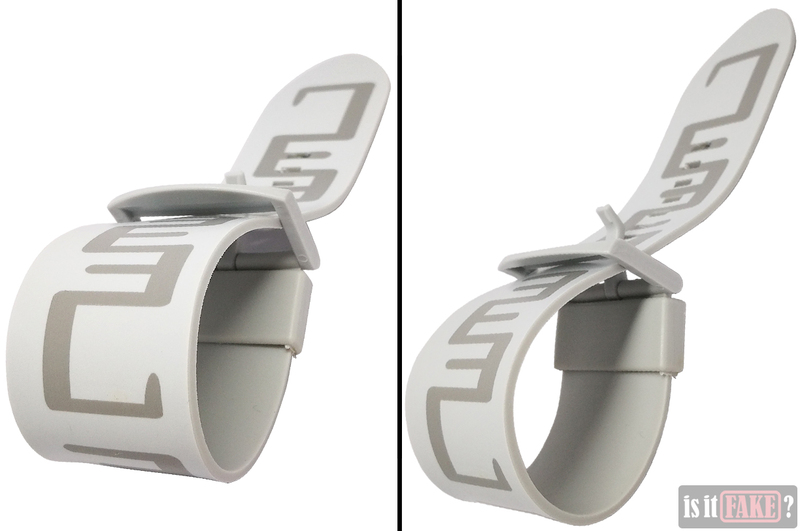 Around the fake’s main body is a ring that you can rotate. 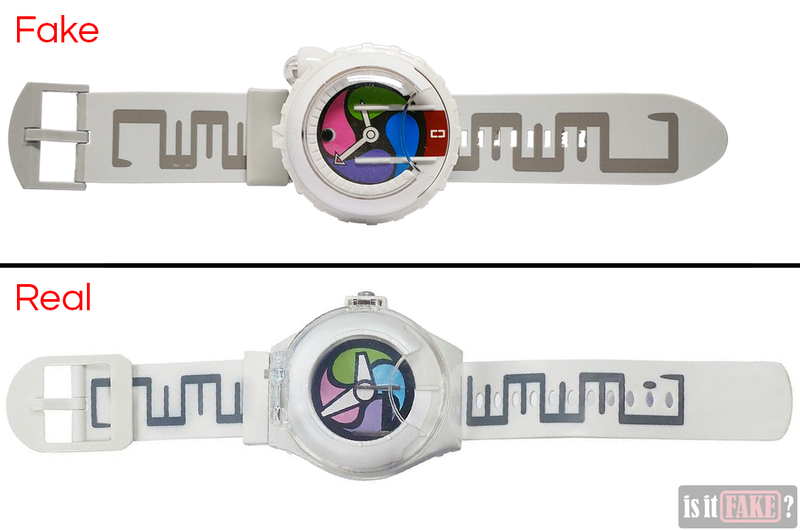 We were hoping this would serve some kind of function, such as flip the transparent top of the watch open. But it doesn’t do anything else and is absolutely useless. While it’s hard to see in the pictures, the curved white part to which the clear plastic top is attached is dirty with tiny, black spots. It’s also dented in four places. The fake’s clock graphic looks extremely cheap, like it was printed on cardboard. Contributing to this cheap look is the high saturation of the colors. As you can see in the header image, the original’s clock graphic, in contrast, uses pastel colors, which looks great with the white. Let’s go back to that strap. The strap has 8 notches. 6 of these haven’t been cleanly cut, so that there are thin films of rubbery material partially covering the holes. 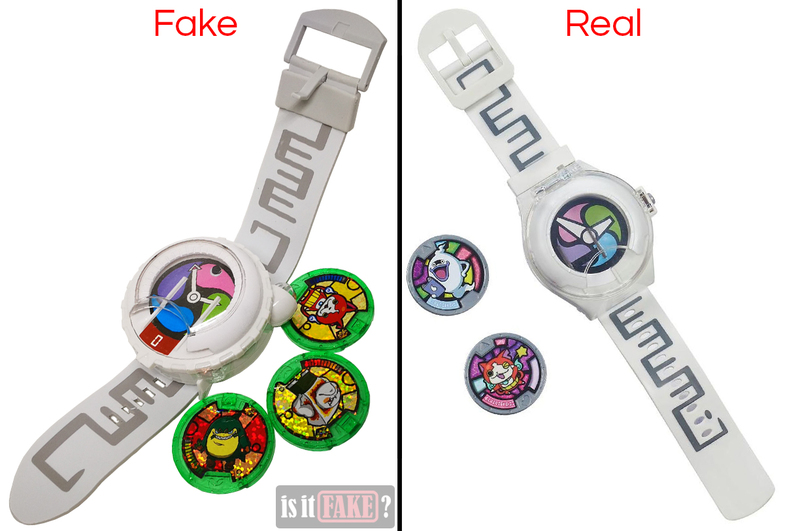 As you can see in the comparison image above, the fake’s strap is shorter than the original’s. The positioning of the notches is also different. 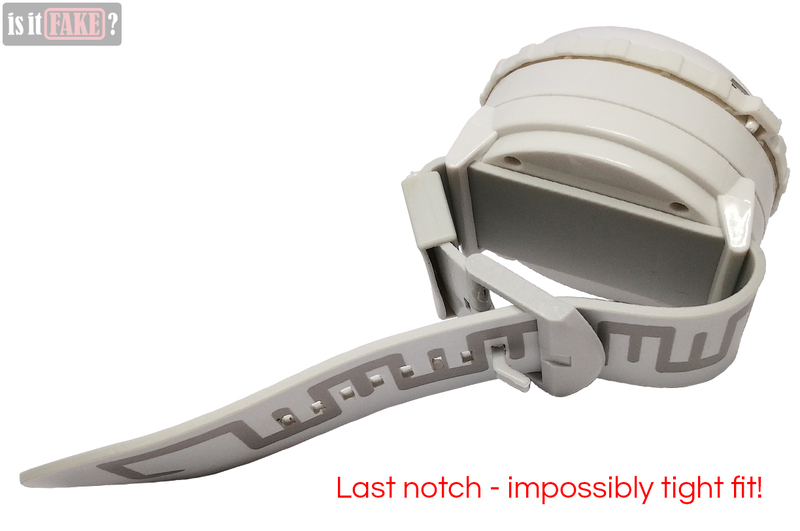 The fake buckle’s prong, when fitted into the outermost/first notch, forms a tight loop. It should be able to fit around the wrists of thin children, but even then it would be constricting. When you fit the prong into the innermost/last notch, however, the loop becomes so small it would probably only fit around a baby’s arm. 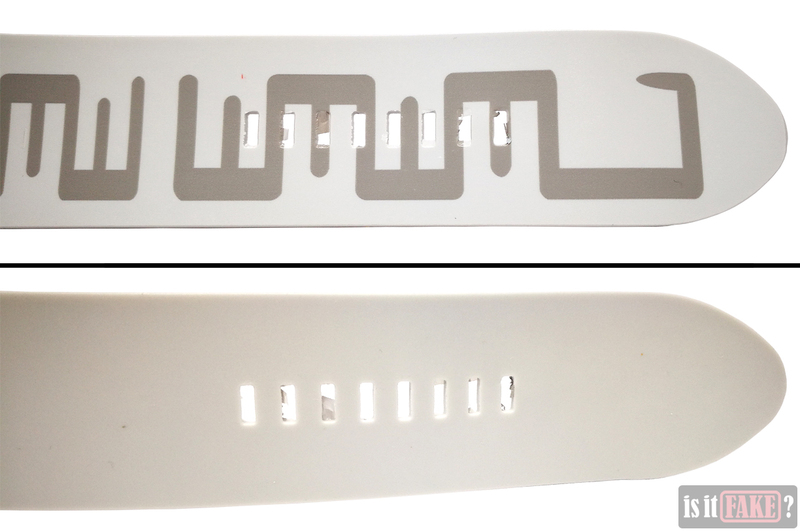 To attach the strap to the main body, you slide the strap through the slits in two “legs” situated at the bottom of the main body. And so we come to this fake’s biggest problem. The legs are spaced over 50mm apart. 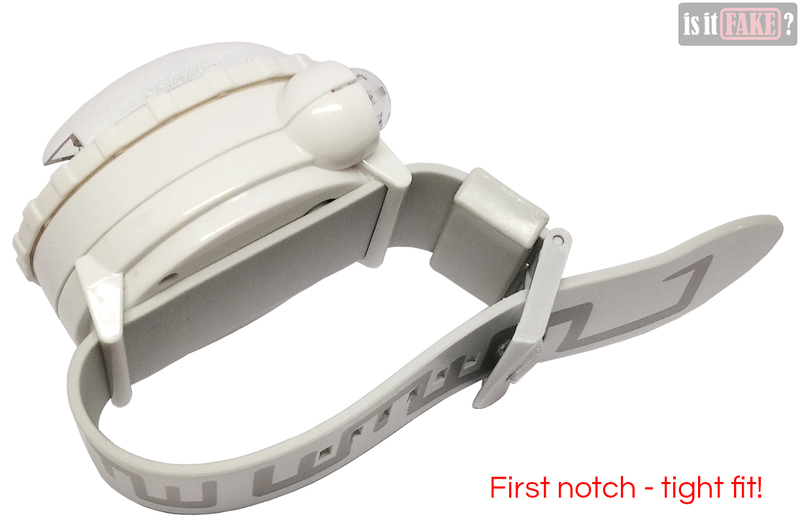 This forces a considerable expanse of the strap straight, so that when you bend the rest of the strap to form a loop, the prong has great difficulty reaching farther than the first notch. And when you do manage to insert the prong into said notch, the resulting loop is not only smaller, but also flatter. 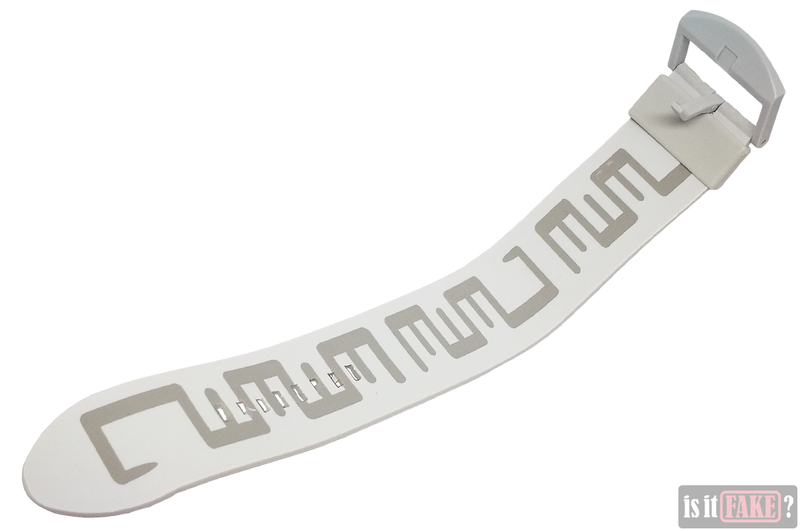 This won’t fit around most wrists. 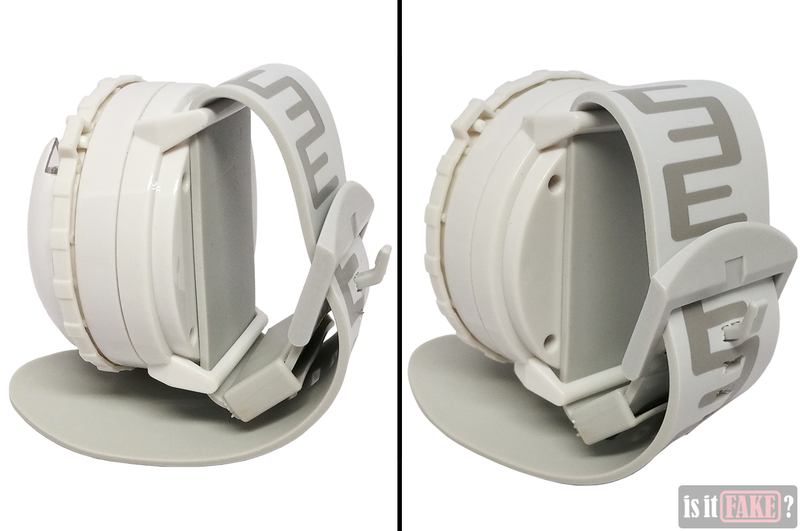 It certainly didn’t fit around our model’s; since his arm spread the strap too wide, we couldn’t insert the prong into any of the notches. The only way to keep the strap fastened around his arm was to have him pin it to the ground. It would be useless to insert the prong into the last notch, as the resulting loop would be far too tight. We suppose you could still fit it around a baby’s wrist – if you don’t mind cutting the blood flow to that’s baby hand and possibly killing said baby. 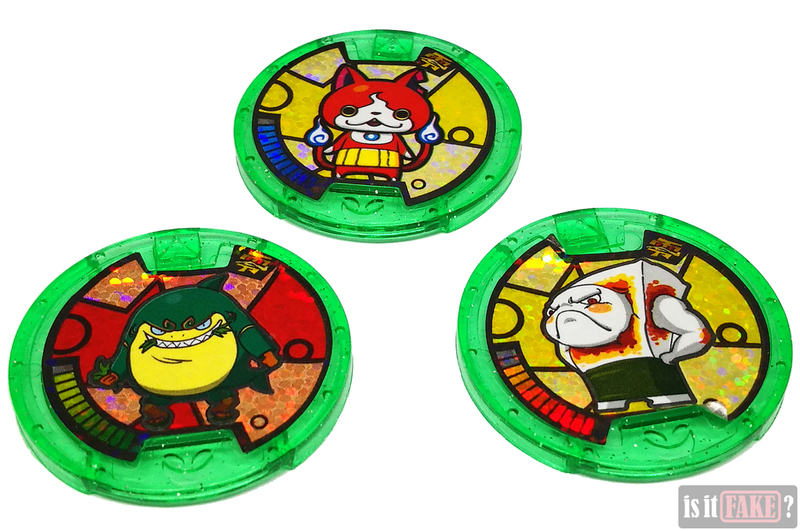 The fake Yo-kai Watch comes with three ugly, semi-transparent medals adorned with stickers with poor print quality. Like the clock, the colors on the stickers are high in saturation. One of the stickers is peeling off. 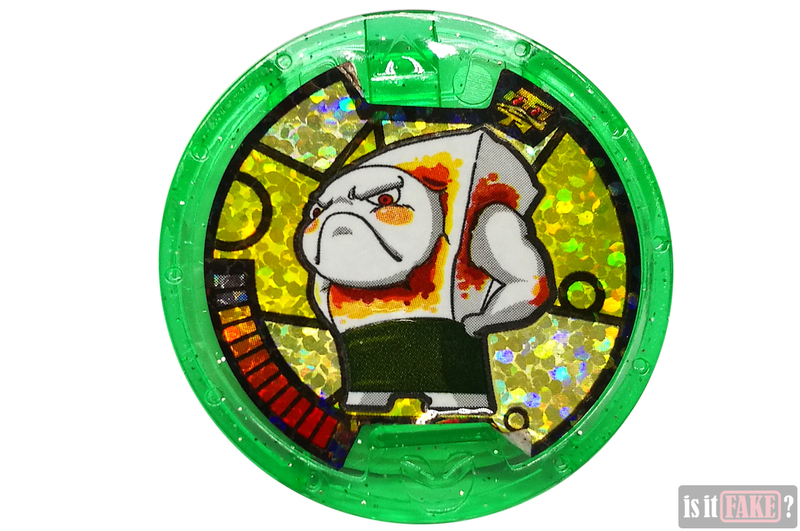 Each medal is inserted into the Yo-kai Watch through the opening on the main body’s face. Upon doing so, the watch makes sounds and the bulb lights up. The fake’s sound quality is so bad you can barely make out the words. The music resembles random, distorted noise more than the Yo-kai Watch jingle. All three medals make the same exact sounds. 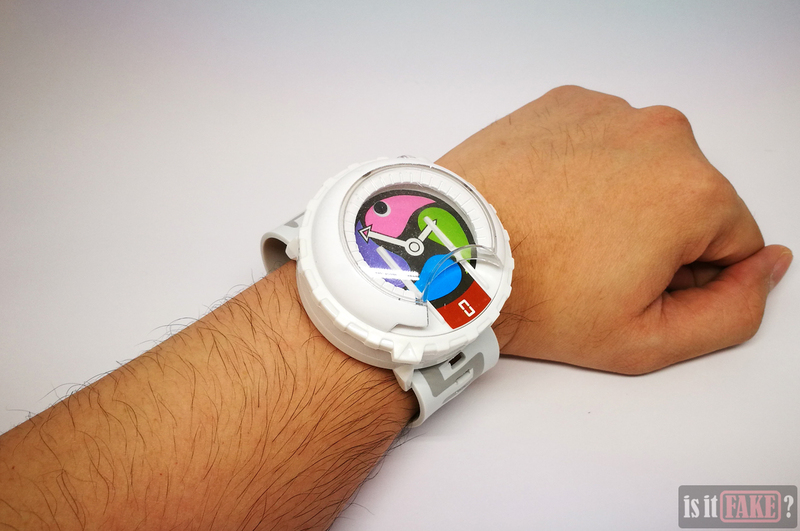 Compare this to the real Yo-kai Watch product, which a YouTuber reviews on his channel. The watch’s sounds are cleaner. 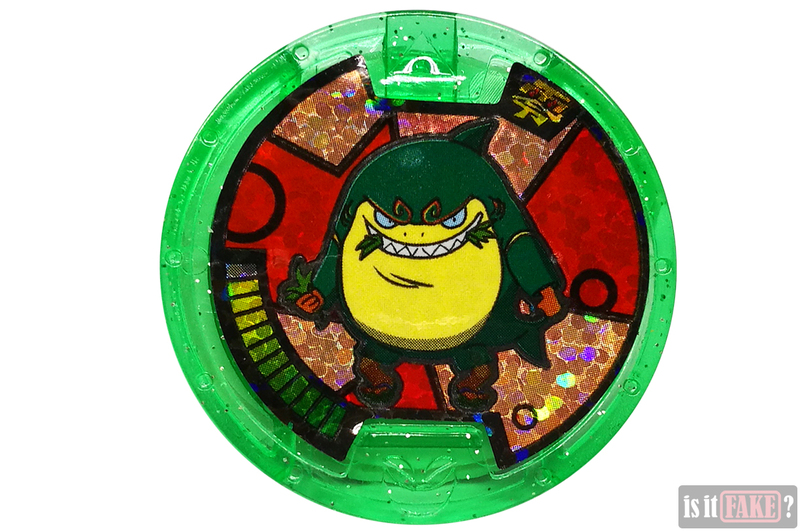 Each medal produces a unique set of sounds, which can be an announcement of the specific monster’s name, the Yo-Kai Watch jingle, the monster itself speaking to the wearer, or a combination or some or all of these. This way, no two medals make identical sounds. 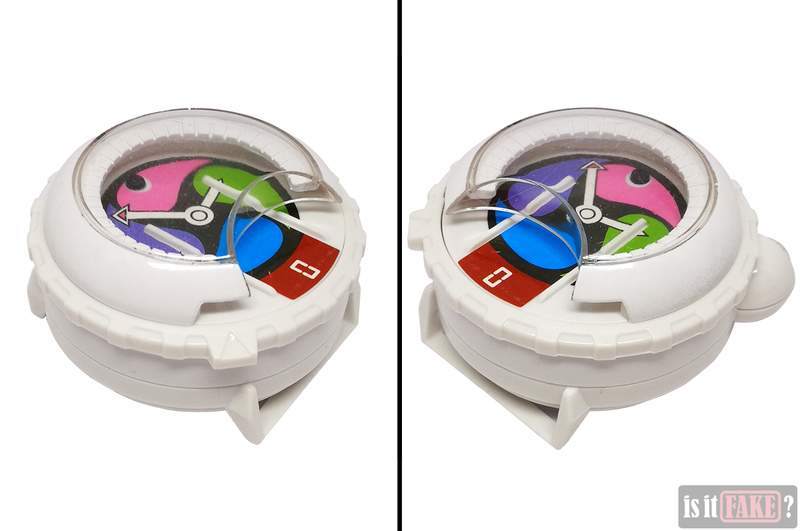 From that video, you’ve probably already noticed how the official Yo-kai Watch toy is not only shaped differently from the fake, but boasts additional features, as well. 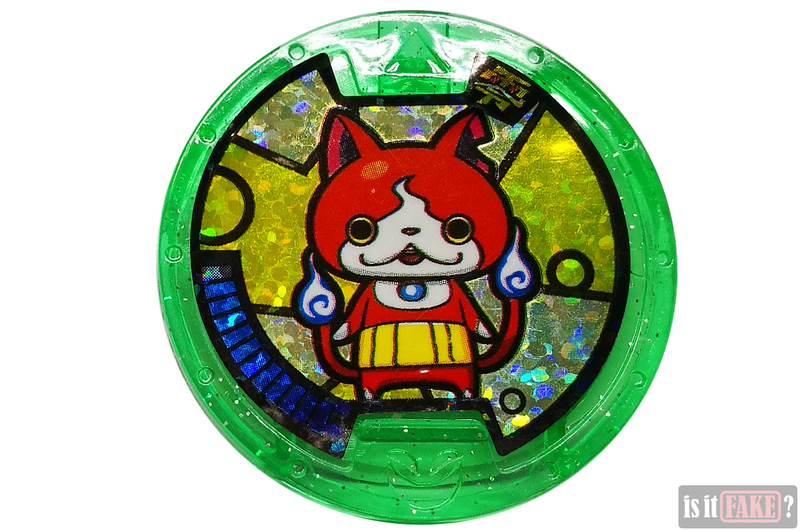 For example, the original toy has two transparent tops, the uppermost being a dome called Yo-kai lens. It also has a button on the side that, when pressed, springs the dome open, as well as makes a sound. 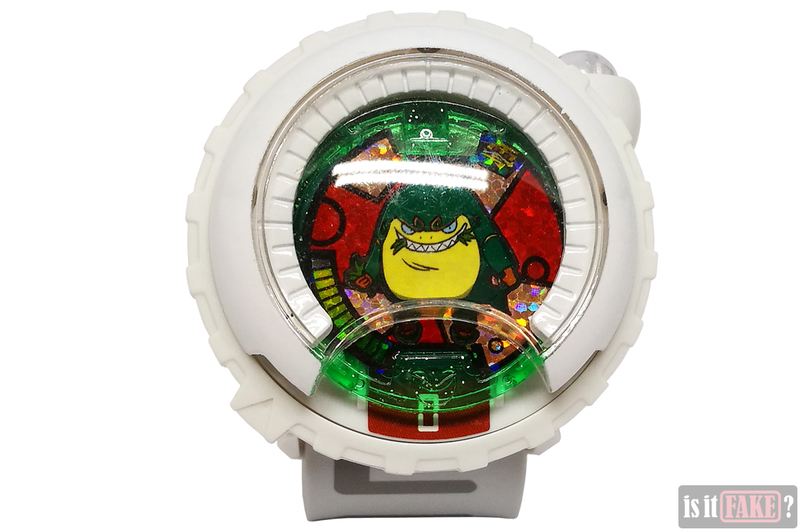 Pressing this button while a medal is inserted into the watch makes the monster speak. Speaking of medals, the original’s come with unique codes that can be scanned by a 3DS to give you special coins in the video game. 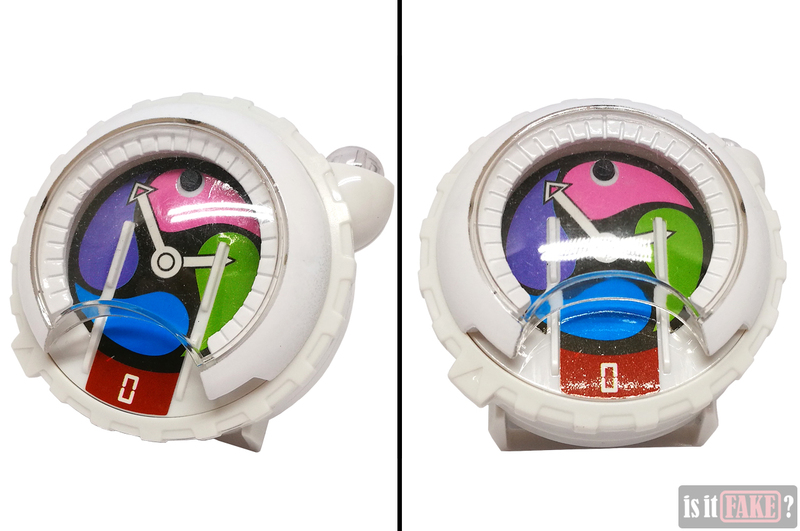 Check out Hasbro’s Yo-kai Watch trailer below to see more of these differences. 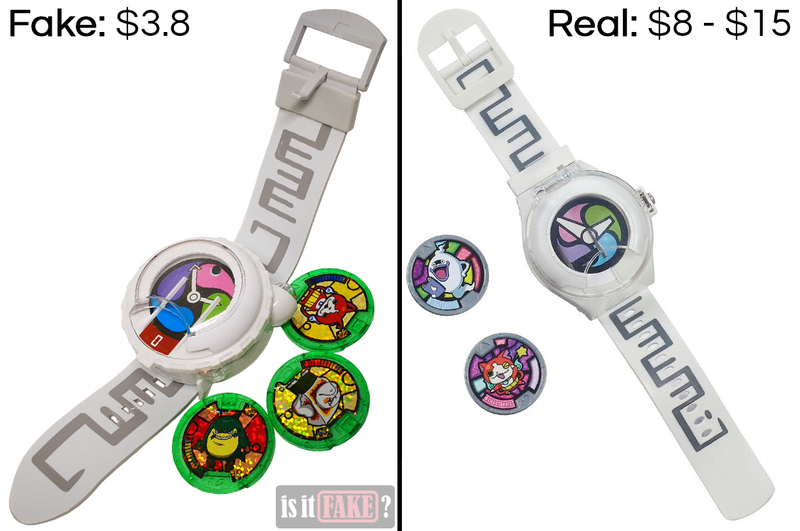 Long story short, the fake Yo-kai Watch isn’t an accurate representation of the popular white watch, which we see in the video games and anime. 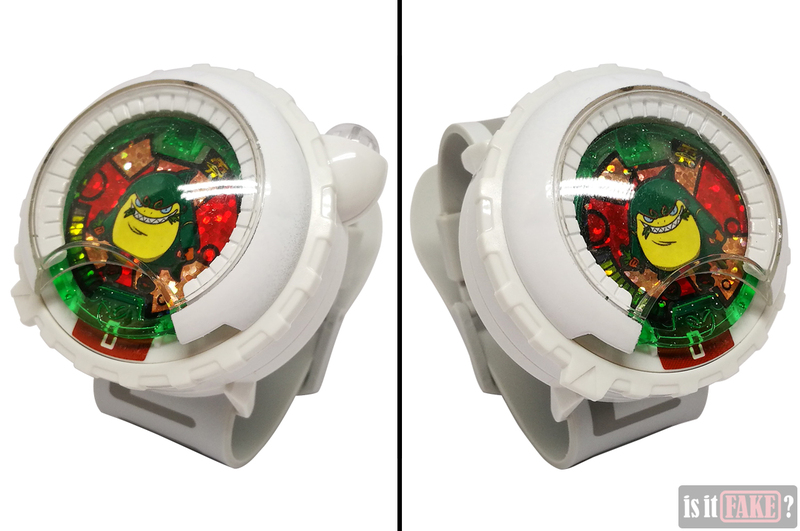 In addition to boasting better quality, real Yo-kai Watches aren’t expensive at all, and they’re relatively easy to find. The best place to go if you’re looking for Yo-Kai Watch toys is none other than its main merchandise producer, Hasbro. 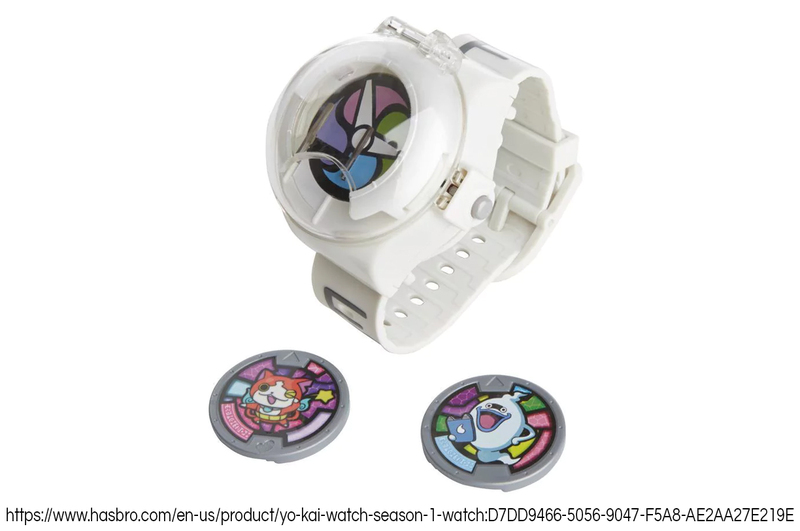 Hasbro’s Yo-kai Watch site has a catalogue of Yo-kai Watch stuff, including medals, figures, cards, and the watches themselves. Sadly, not all items displayed on the Hasbro site are available for purchase. 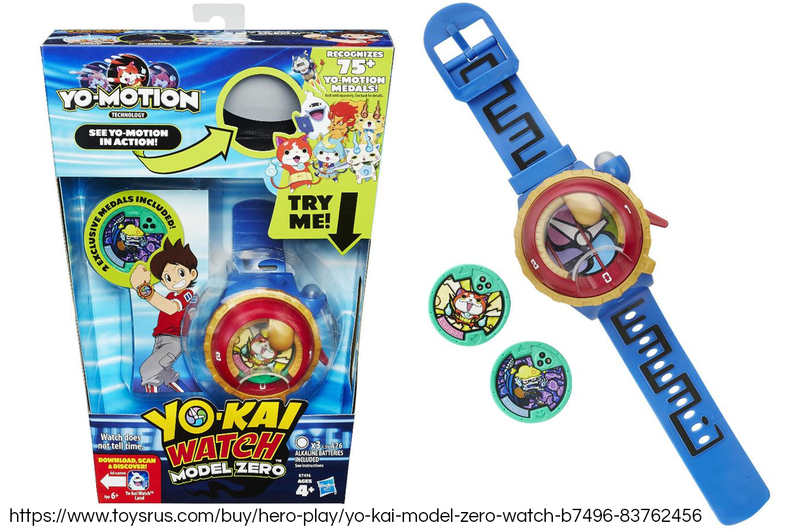 What you can do instead if visit the Toys “R” Us online store, which usually has stocks of Yo-kai Watch items. 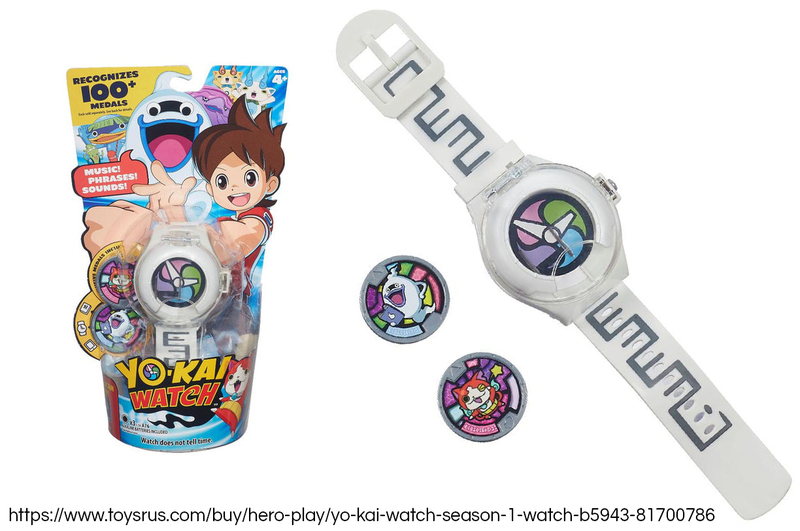 You can, for instance, buy the Yo-kai Watch Season 1 Watch for around $8 in the Toys “R” Us online store. 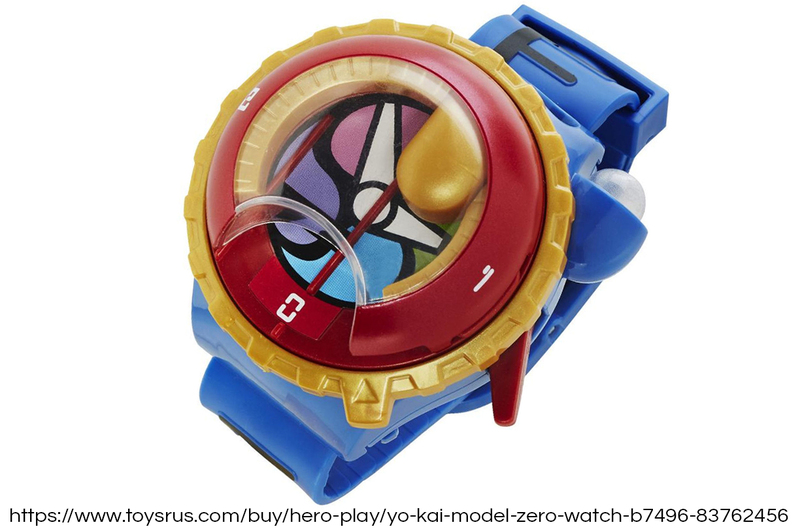 From the same store, you can purchase the Yo-kai Watch Model Zero Watch for roughly $15. You can also visit the Toys “R” Us physical stores if there are any in your city. Yo-kai Watch is a popular toy, so there’s a good chance these shops have some up for sale. What good is a watch you can’t wear? 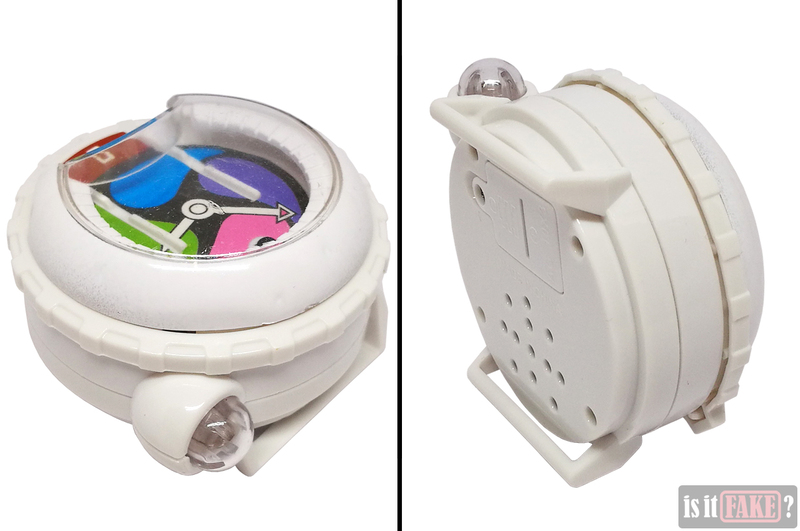 This fake Yo-kai Watch toy is not only ugly, it’s also dangerous, sooner restricting blood circulation to your hand than summoning your friendly neighborhood Yo-kai. Any toy that could potentially cause discomfort or even injury deserves no less than an 80% terrible rating.